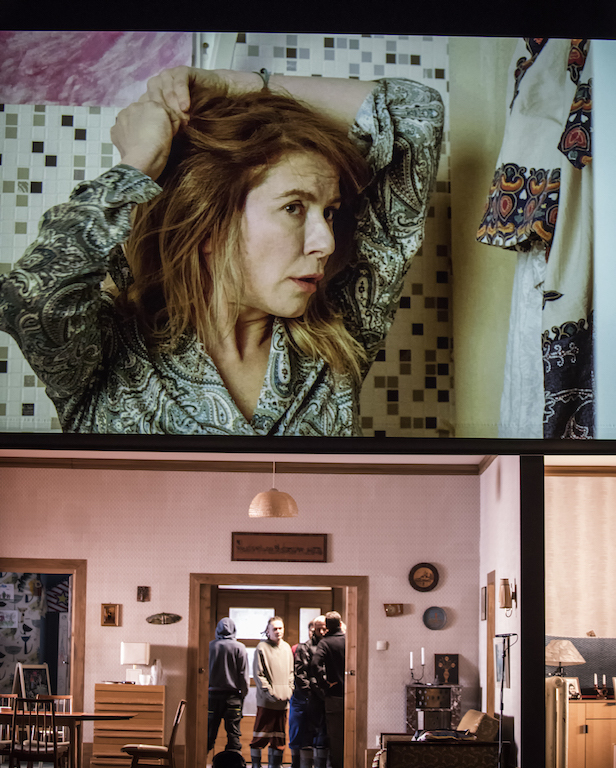 In 2017 Maja Kleczewska received one of the most prestigious theatre awards in Europe: The Silver Lion for innovation in the theatre, awarded at the Theatre Biennial in Venice. 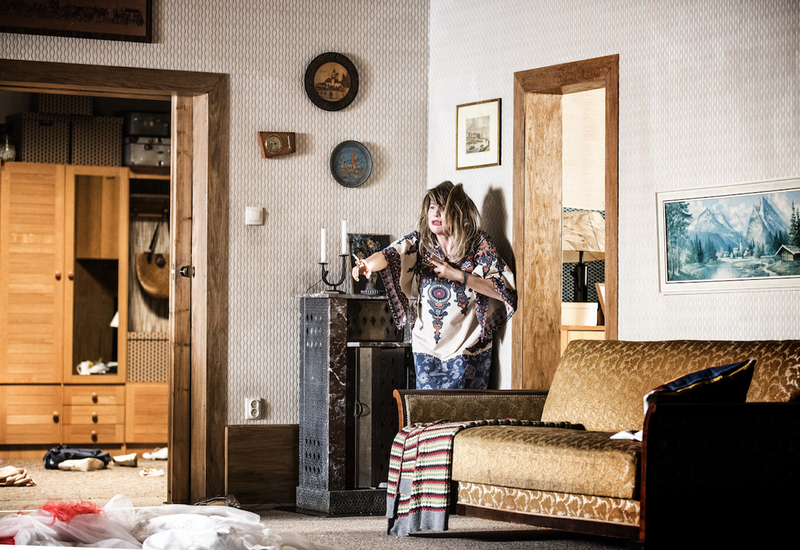 In Katowice, after many long, improvised productions that are a sinusoid of emotions, success, and defeat, Kleczewska created perhaps the shortest play in her oeuvre: the 100 minutes stun with the temperature of Sandra Korzeniak’s role, the memorable Marilyn Monroe from Krystian Lupa’s drama. The starting point was the film by an American experimenter John Cassavetes with Gene Rowlands. Entitled “Woman Under the Influence” (1974), it won a Golden Globe and an Oscar nomination. Cassavetes created a tale of a hypersensitive woman slowly falling into madness while tending to home and progeny. He spun the tale drawing from his own experience of becoming fully devoted to the care for his children. Maja Kleczewska transferred the mental madness Mabel plunges into to a world of an industrial city and a male worker environment. She’s trying to accept it, just like she opens to her husband. However, she cannot count on reciprocity. She is so very different, oversensitive, and maladjusted to reality that the perception by the opinionated “normal world” and family can be nothing short of brutally biased. Sandra Korzeniak is victorious in a confrontation with the film protagonist, as she created an unforgettable role of a woman with “her body outside”, painfully touched by the brutality of the world and men. 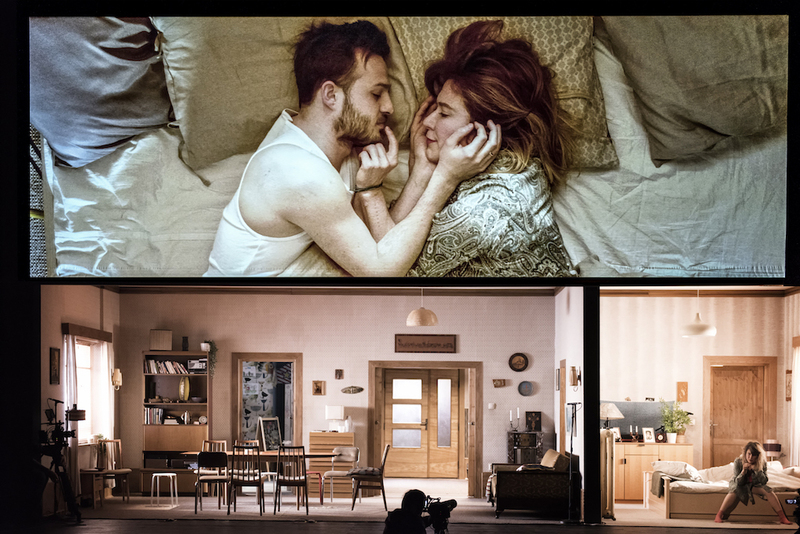 The unnerving effect of being taken into the internal world of the heroine comes not only from the close ups from the cameras that disclose what is happening behind the drawn curtains at home and in the woman’s psyche but also from Donizetti’s and Catalani’s music performed by Agata Zubel.